Very large upright spreading clump of large blue leaves with yellow margins. 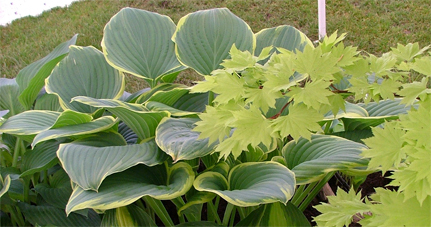 Also known as h. fluctuans 'Variegated', h. fluctuans 'Sagae'. 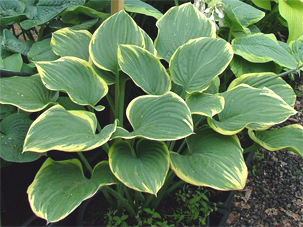 Read more about this plant in our March 2010 newsletter.